Mr. Jeffrey W. Henderson, also known as Jeff, has been an Advisory Director of Berkshire Partners LLC since September 2015. Mr. Henderson provides Halozyme Therapeutics, Inc. Board of Directors with a wealth of corporate leadership experience, particularly in corporate finance, having served as the Chief Financial Officer of Health, Inc. from May 2005 to November 2014. Mr. Henderson has 30 years of financial, commercial and pharmaceutical industry experience. He served as an Executive Vice President of Cardinal Health, Inc since April 18, 2005. He served as an Interim Chief Executive Officer of Healthcare Supply Chain Services of Cardinal Health Inc., from November 5, 2007 to January 2008. He was deeply involved in a wide range of acquisitions and divestitures over his career at Cardinal. During his tenure, he had operational responsibility for various parts of the business, including China. He served as President of Eli Lilly Canada. He served as General Manager of Canada at Eli Lilly Canada Inc. and Eli Lilly and Company from June 16, 2003 to April 2005. He served as Vice President and Corporate Controller of Eli Lilly & Co., from January 2000 to July 2003. Since 2003, Mr. Henderson served as Head of Lilly's Canadian unit. He joined Lilly in 1998 as Vice President and Corporate Treasurer, based at Cardinal Health Inc.'s headquarters in Indianapolis Ind. For 10 years, he held positions at General Motors Corp., including executive and managerial posts in Great Britain, Singapore, New York and Canada. He served as a Plant Supervisor and Electrical Engineer at General Motors in Canada in 1988. In 1991, Mr. Henderson moved to the General Motors Treasurer, where he served various positions involving finance. In 1994, he moved to Singapore to establish the operation of the Regional Treasury Center and In 1996, assumed a senior role with General Motors' joint venture with Isuzu Motors in England. He has deep experience in pharmaceuticals, supply chain, distribution and the healthcare industry broadly. He serves as a Director of Canada's Research-Based Pharmaceutical Companies. He has been the Non-Executive Chairman of QUALCOMM Incorporated since March, 2018. Mr. Henderson has been a Director of Halozyme Therapeutics, Inc. since August 5, 2015 and FibroGen, Inc., a biotechnology company, since August 6, 2015. He serves as a Director of Integrated DNA Technologies, Inc. and serves as a trustee for the Columbus School for Girls. He has been a Director at QUALCOMM Incorporated since January 14, 2016. 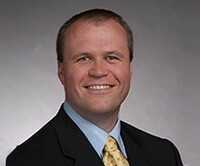 He has been Director of Becton, Dickinson and Company since August 16, 2018. He is a director of Affordable Care, Inc. Mr. Henderson has Master of Business Administration degree from Harvard Graduate School of Business Administration and a Bachelor of Science degree in Electrical Engineering from GMI Engineering & Management Institute, Kettering University.